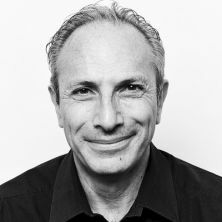 Lawrence Haddad became the Executive Director of GAIN in October 2016. Prior to this, Lawrence was the founding co-chair and co-author of the Global Nutrition Report from 2014 to 2016.From 2004-2014 Lawrence was the Director of the Institute of Development Studies (IDS), the world’s leading development studies institute. Before joining IDS in 2004, he was Director of the Food Consumption and Nutrition Division at the International Food Policy Research Institute (IFPRI) from 1994 to 2004. From 2009-2010 Lawrence was the UK’s representative on the Steering Committee of the High Level Panel of Experts (HLPE)of the UN’s Committee on World Food Security (CSF). He was the President of the UK and Ireland’s Development Studies Association from 2010 to 2012. An economist, Lawrence completed his PhD in Food Research at Stanford University in 1988.